Joseph Bastianich and David Lynch's Vino Italiano: The Regional Wines of Italy, is comprehensive and authoritative. This hefty guide offers a thorough, region-by-region rundown of all the wines of Italy. It's indispensable if you love Italian wine or want to learn more about it..
Click to buy it now from Amazon.com in paperback for $14.44, 34 percent off the $21.95 list price. This month we're enjoying the wines of Southern Italy, the "foot" of the Italian "boot," as our Wine Focus topic in the WineLovers Discussion Group. Often called Il Mezzogiorno ("The Midday"), this region was settled by the ancient Greeks even before the Romans came, and so arguably hosts Italy's oldest wine culture. On the "instep" lies Campania, the region of Naples, home of pizza; and Mount Vesuvius, Pompeii, sweet Sorrento, Capri and the lemon groves of the Amalfi coast . In ancient times, the Romans considered Falernum from this region among their greatest wines, and the name, at least, remains in the wine region Falerno. One of Campania's most famous wines is Lachryma Christi del Vesuvio (red and white), but serious wine enthusiasts will probably find more joy in the ancient, rich and aromatic whites, Greco di Tufo and Fiano di Avellino; want red? 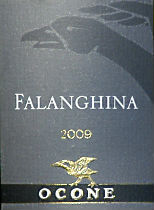 Taurasi is a full-bodied favorite. Apulia (Puglia), the Italian boot's high heel, is known for focaccia bread, its groves of ancient olive trees and seafood from the waters that surround it. It is also the home of Primitivo, the red grape, rooted across the Adriatic in Croatia, that DNA studies has shown to be genetically the same as Zinfandel, albeit subject to clonal differences that make the wines anything but identical twins. Salice Salentino is another Pugliese red. Like California's Central Valley or Languedoc's inland plains, though, Apulia is Italy's most prolific grape producer, with most of its industrially grown fruit destined for an anonymous fate in simple table wines. Basilicata fills the "sole" of the boot. Largely rural with a relatively small population, it doesn't play a major role on the wine scene, but its hearty red Aglianico del Vulture, grown on volcanic soil, boasts a heritage back to the ancient Greeks. Its sugary, prickly Moscato and Malvasia satisfy the wine lover's sweet tooth. Calabria, the "toe" of the boot, joins Sicily as one of the primary sources of the Italian immigrant stream to the U.S. through Ellis Island, and during that same era to Argentina. The rural poverty that drove emigration leaves a lightly populated region with its economy primarily driven by olive oil and commercial fishing. Nevertheless, its iconic wine, Ciro, dating back to the Greeks, is a potent red made from the Gaglioppo grape. In addition to these mainland regions, Il Mezzogiorno also includes the islands Sicily and Sardinia, and the regions that lie on its northern edge, Abruzzi and Molise. We'll welcome reports on wines from any of these regions this month. To get things started, I opened an excellent white Falanghina, made by Ocone in the Taburno wine region of Campania, in the hills above Naples. My tasting report is below. You're invited to join our friendly international crowd of online wine lovers as we taste and talk about the wines of Southern Italy. To participate in the conversation, simply click to the forum topic "January: The South of Italy"
WEB LINK: This link leads to another U.S. distributor's fact sheet on Ocone Estate and its 2010 Falanghina..
Find vendors and compare prices for Ocone Taburno Falanghina on Wine-Searcher.com.